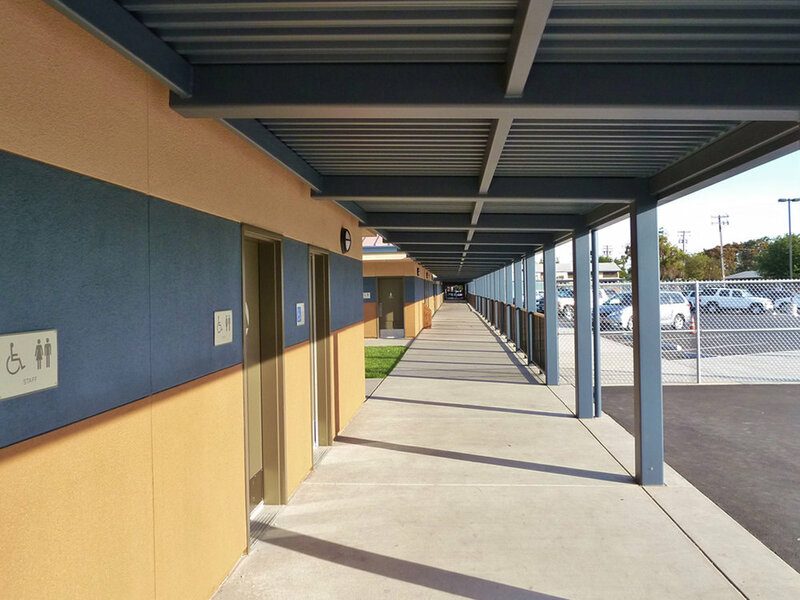 The Van Buren Elementary School Portable Replacement Project successfully replaced 18 aging portable classroom buildings. The two ground-up classroom buildings provided up to date, energy efficient classrooms, toilet rooms, and staff support facilities. To eliminate the need for interim housing while under construction, the new buildings were constructed in place of the existing playground. After construction was complete, the old portables were removed and a new playground with an expanded parking lot were constructed in their place. The Van Buren classroom building design has served as the prototype for other Portable Replacement Projects within the District.